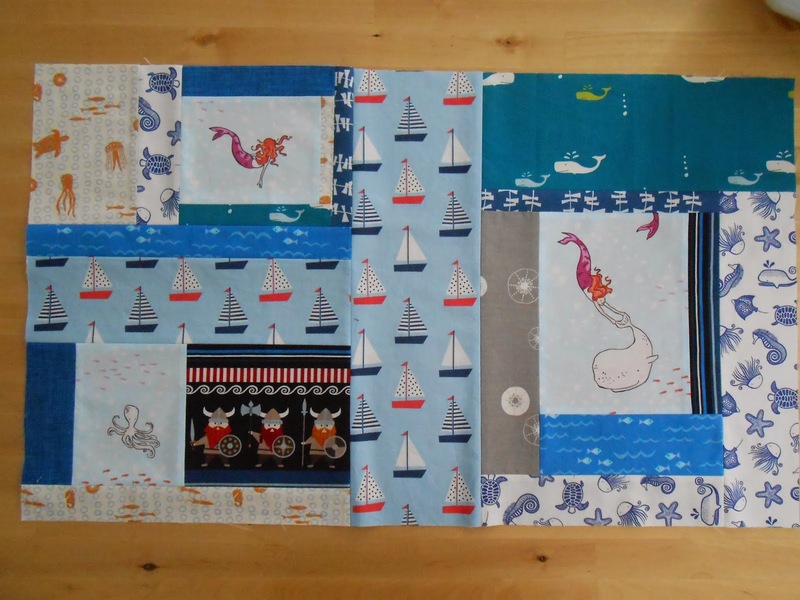 Last weekend I made some progress on the baby girl quilt front. 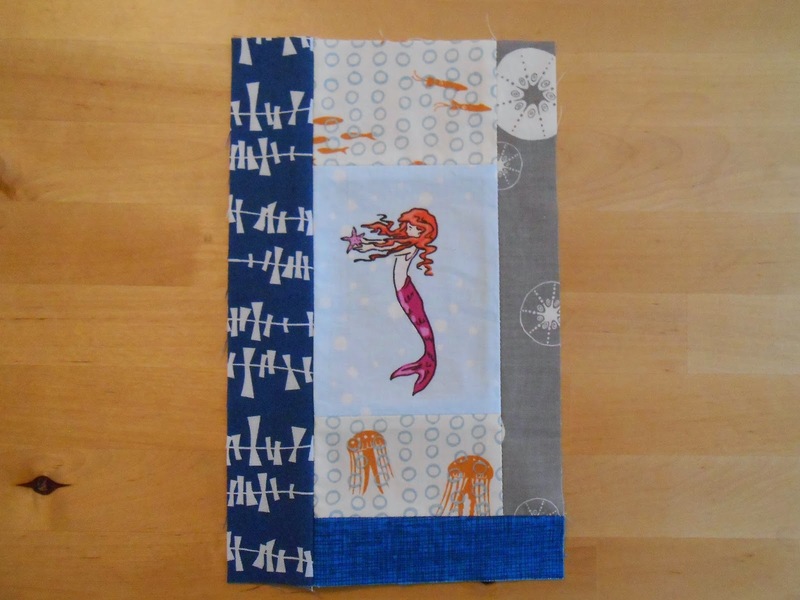 Not only did I wash the fabrics for our little one but I also spent time with the mermaids of the Maritime Baby Girl Quilt for B's little sister. Not much, granted, but enough to keep me satisfied. 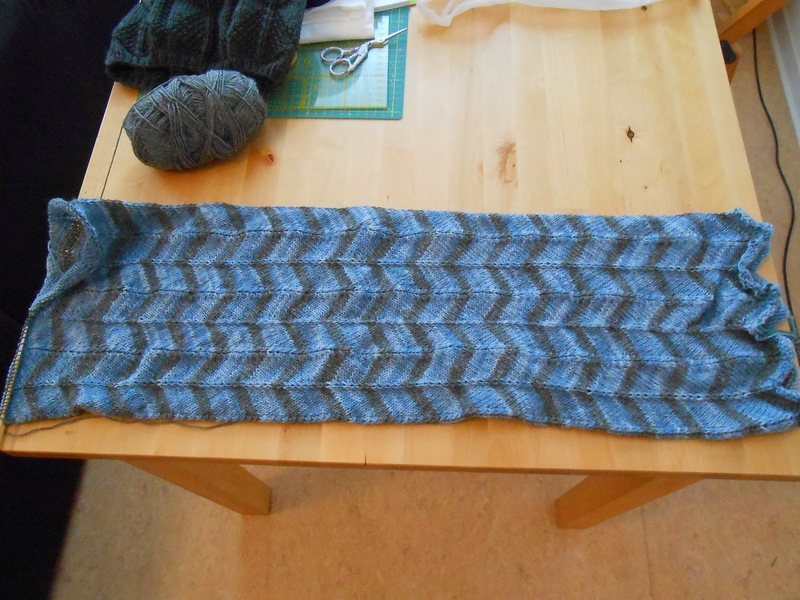 I'm sure I would be quicker with a proper block and layout but I don't mind. It's interesting to work with less of a plan and see the quilt grow nonetheless. Most of all I'm just glad to be creative again and I adore these teeny mermaids. This weekend, alas, had to be spent in bed due to a nasty cold but it hasn't kept me from being creative. I've taken up my sister's scarf again. Yes, the one with the November 2013 deadline - I'm determined to make the November 2014 one! This is an old picture - it's actually only a few repeats away from being giftable. Further, I spent considerable time on ravelry and have tracked down two cowl patterns as well as a hat pattern that I'm dying to try out for quick but pretty knits. After finishing my sister's zig zag, of course. But I simply had to ponder and order yarn already. Best to be prepared, right? Most importantly, it's all DK/8-ply Worsted/10-ply yarn. No more sock yarn for me - I've grown to despise the stuff. 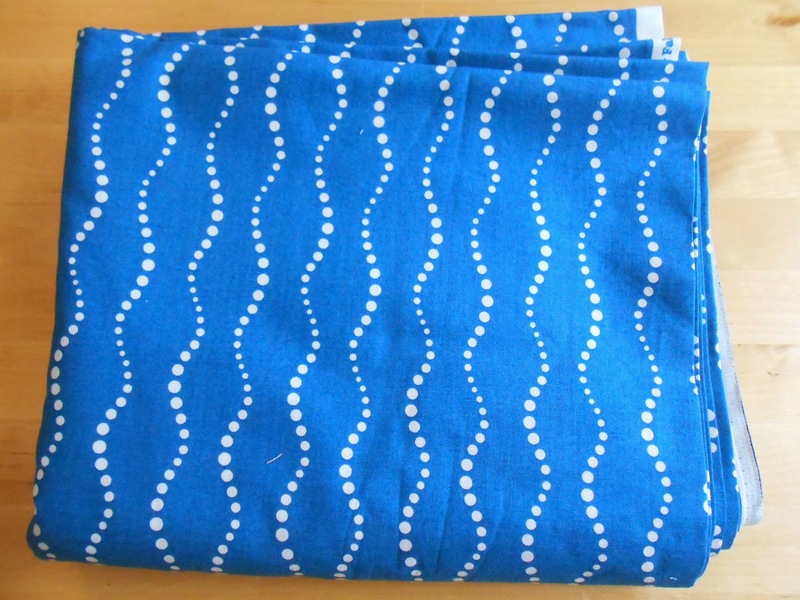 On top of that I've also ordered backing fabric for little one's curtains - Kona Regatta will go with this beauty. To speed up the delivery I've ordered it from a German store this time. As I'm slowly starting to notice the pregnancy more, I'm 25 weeks along after all, it's probably best to get the curtain sewing out of the way as quickly as possible. Crawling on the floor pinning fabric panels of nearly two metres length (and that twice!) won't be the most fun thing to do but I do want these badly and at least I don't have to make sure that the stripes are perfectly vertical this time around. 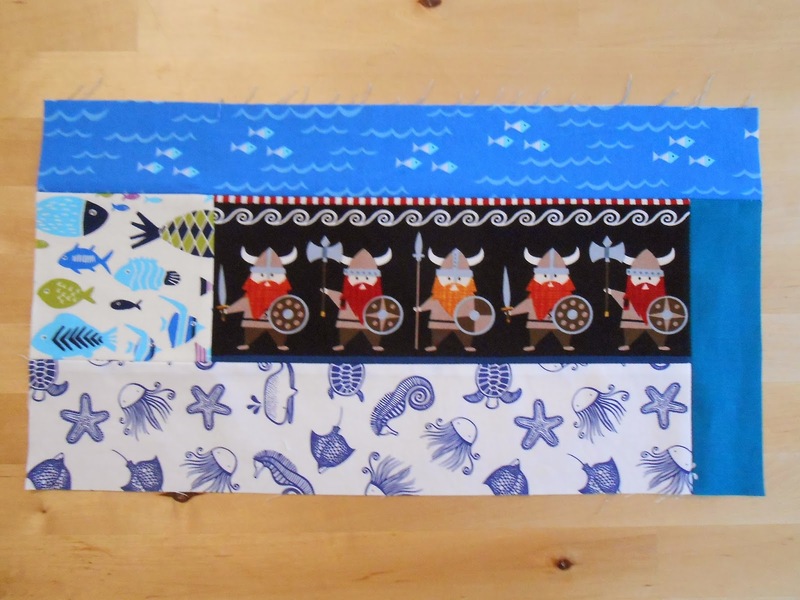 So cute : the mermaid, fish, viking, jellyfish, sand dollars, sailboats and narwals : you have picked an amazingly cute combination of fabrics and the blocks are just as cute as they can be. Atta Girl !~! And may I bow to your choice of backing ?~! I love that fabric. I love love love the way this quilt is going!